Time matters. Sending emails on particular days of the week and at specific times of the day may influence the open rates and response rates. That’s what has been proven by many studies. However, a major part of the research considers the best delivery time for email newsletters. 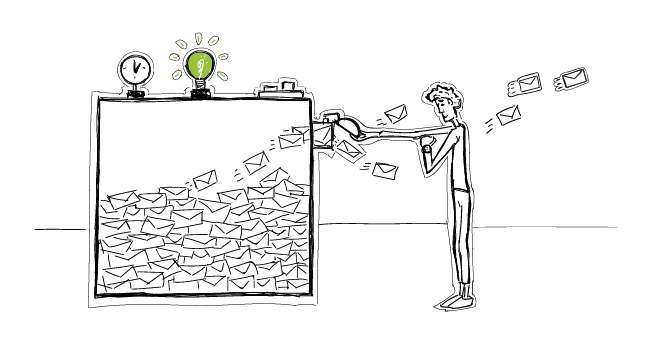 Newsletters and cold emails are not the same, so can we apply those newsletter studies to cold emails as well? What is the best time to send email campaign? Last week, I came across the post reporting the Sidekick’s survey on the most annoying email pet peeves. Among the questions asked to the respondents, there was one about receiving late night emails. The survey revealed that 91% of addressees do not mind getting emails in the middle of the night, and only 9% claim that sending emails at night is unprofessional and rude. Of course, that’s statistics. And statistics depends very much on the group we are studying. Which is why I decided to find some more statistics considering the best time to send email campaign and compare the results. So I’ve run through a few other articles with statistics on KissMetrics, WordStream, Customer.io,Campaign Monitor. And it appears that depending on the study, there are some differences in specifying the optimal time for email delivery. Plus, in the KissMetrics’ article, there is also a distinction between the types of content sent in an email and the effectiveness in terms of the desired actions of recipients. What can we conclude from all of that? It’s our target group that specifies the best day and time for email delivery. we will know what the optimal time for sending cold emails is. Of course, this won’t work for 100% of our addressees. But it will work for the majority of them. Of course, it takes time to discover the best time to send email campaign. Before sending our cold emails at 52Challenges, we had some basic knowledge when to send emails (based on articles like those mentioned above). But we quickly discovered that the most replies were sent to us on weekends. On working days, most fitness pros replied to us either early in the morning, or late at night – because that’s when they were checking their emails. After talking with trainers, we confirmed our assumptions considering their workflow. They wake up early in the morning (for me it was more like in the middle of the night) and start their day earlier than office workers – because personal trainers work with the office workers before the latter get to the office. So usually, we wouldn’t expect someone to reply to us at 5 or 6 in the morning. According to the research by KissMetrics, it’s the “dead zone”. But for some trainers, not only was it OK to get an email before 6 AM, but also to talk to us on the phone at 7 AM, because they actually started their day 3 hours before 7 AM. It’s all about knowing your addressee who is not only a part of a statistical group, but above all, a living person on the other side of the screen. You can start with statistics – because otherwise, you wouldn’t know where to start at all. But in the end, it’s the practice that verifies the optimal time for contacting your prospects. Previous postHow to Carry Out A/B Testing of Cold Email Copy in Woodpecker?